Elettricoop provides installation services which fall within the applicable tax deductions (50% of the total invoice amount), both for refurbishment of existing systems and set-up of new solutions. Over the last 40 years, the television has become a common companion of our everyday life. Just take a short walk on main street or visit a shopping mall, or check out the neighbourhood when sipping a coffee in a café to see how this technology has become an important element in our society. There’s an overwhelming variety of options available on the market, both in terms of aesthetics and functionalities: LCD, led, or plasm screens; shining, satin, or aluminium finishing, etc. Still, all of these options are familiar by a common goal: to provide a satisfying video experience. 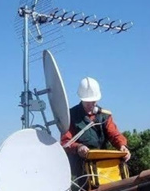 To achieve this, it is important that the signal transmission system is adequate. 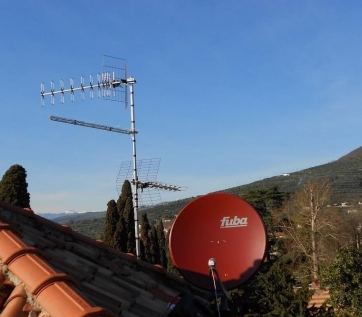 Elettricoop installs systems both for DVB-T/C HD (Digital Video Broadcasting- Terrestrial HD) televisions as well as for satellite television (SAT) and others. 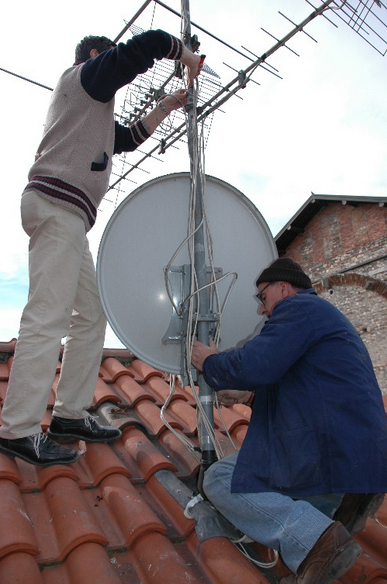 For satellite systems, the installation of a parabolic antenna is required. 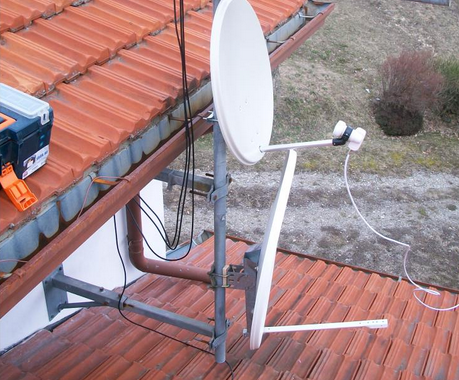 The parabolic antenna consists of two main elements: a parabolic reflector, and a low noise block converter (LNB) which interfaces with the SAT TV to calibrate the antenna’s direction in order to ensure high quality view of programmes distributed via satellite. Our parabolic reflector of choice is finished with a special varnish which stands even the most aggressive weather conditions, to guarantee bespoke aesthetics and higher durability. 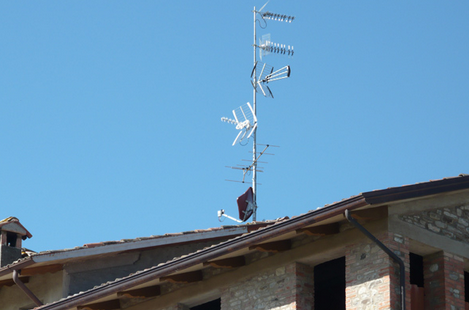 For digital terrestrial televisions, we install UHF (Ultra High Frequency) broadband antennas, which can successfully receive frequencies ranging from 300 to 3000 MHZ. 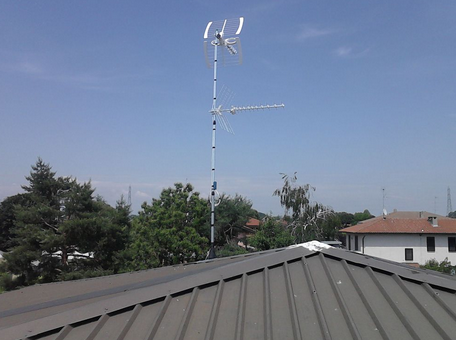 Such antennas are galvanised to protect them from corrosion and make them more durable over time. 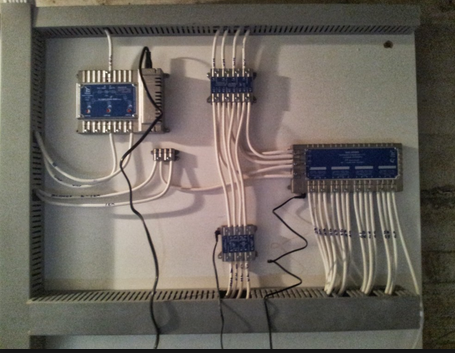 Our solutions are designed to support the full potential of your TV, be it a new generation product or an older device. For further information, or to request a free quotation/evaluation, please see our Contacts page. Thank you.